Are you ready to book your beginner surf lessons on Maui? First time surfers are definitely in for a treat. Whether or not you’ve tried out other water sports before, the first time you learn how to get comfortable on your board is guaranteed to be an amazing experience! If surfing is something you’ve always wanted to try, don’t hesitate to book your beginner surf lessons on Maui sooner rather than later! And if you were wondering about the tips and tricks experienced instructors offer their first time students, here are 9 of the most useful ones you should remember. Is this your first surfing experience? It’s always best to book your beginner surf lessons on Maui with an experienced instructor. This way, you’ll avoid hurting yourself or injuring others and you’ll avoid getting used to the wrong surfing techniques. Surf leashes are not just a trend. They’re an important part of your surfing equipment and it’s important to use one at all times in order to stay safe in the water. It’s recommended that you warm up before your surfing experience. Do some stretching exercises in order to decrease the chances of getting a muscle cramp right when the action happens. Make sure everything is in order and check your board, your leash, your costume and so on before you enter the water. You need to be 100% safe and avoid any possible risk for injury. Everyone understands how “cool” it is to surf tall waves. However, if you booked beginner surf lessons on Maui, you should stick to beginner waves as per your teacher’s instructions. Calmer, steadier waves will make the learning process smoother. One of the most important unwritten rules of surfing is to avoid getting in your fellow surfers’ way. It’s never OK to “steal” someone else’s wave and, as a beginner, it’s best to avoid venturing out on your own since you’re more prone to making more mistakes. You don’t need to be in tip top shape to learn how to surf. However, it helps if you’re used to making an effort. Paddling, swimming and attempting to keep your balance throughout your surfing session can turn out to be exhausting. Definitely book your beginner surf lessons on Maui, but try not to push yourself too hard the first times. If you’re tired or feel your muscles are sore, it’s best to step away from you board and pick up where you left off the next day. 9. Have fun learning how to surf! If you’re not having fun during your beginner surf lessons on Maui, you’re doing something wrong. Surfing is supposed to be enjoyable. Make sure you’re safe, relax and listen to your instructor. You should start feeling the fun in no time! Are you looking forward to learn to surf in Maui? Surfing is a very popular sport and many people who come to visit the island plan on taking surfing lessons on Maui. But even though there are many reasons to learn how to surf, you should know hitting the waves is really, a total body workout! Surfers may seem cool and relaxed, but there are some things you should keep in mind before you decide to learn to surf while o vacation in Maui. Although it doesn’t look that way, surfing is quite a complex sport. Keep reading to learn about 5 important facts to remember before taking up your first surf lessons on the island. If this is your first attempt to learn to surf in Maui, basic swimming skills are a must. There’s no need to be an expert swimmer, but falling off your board and getting wet your first day is to be expected. It’s important that you know how to swim and feel comfortable if you suddenly, get acquainted with the water. Just like any other sport, it’s important to make sure you have the right equipment. And when it comes to your first time to learn to surf in Maui, choosing the right surfboard can really make a difference. 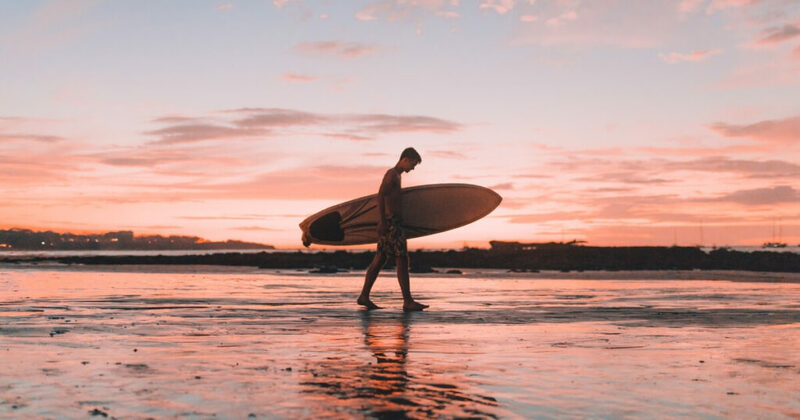 Expert surfers may use “cooler” boards, but if you’ve never surfed before in your life, it’s important to choose a surfboard for beginners: choose a longboard that is wide, thick and has a flat rocker. The time will come when you’ll use a different board. But until then, and if you’d like to learn the correct techniques, consider using a surfboard for beginners. There are plenty tutorials to help you learn to surf in Maui on your own. But nothing can compare to having an experienced surfing instructor by your side! Having someone teach you the right techniques is priceless. Because surfing is a complex sport, it’s important to learn the correct way to stand on your board from your very first try. Surfing may not be a team sport, but it’s important that you learn to respect fellow surfers. For instance, respecting the locals is the first thing to keep in mind when you learn to surf in Maui. Stealing someone else’s wave is definitely not recommended! And remember, good surfing ethics imply choosing the right spot for your skills. It’s never OK to venture out in surfing conditions you’re not yet comfortable with. Is this going to be your first time surfing in Maui? Then expect to feel sore the next day! Surfing is a unique experience and if you’re not used to such a “brutal” workout, you’ll probably need to schedule a day of rest after your very first try. Big south swell on it’s way to Maui!! 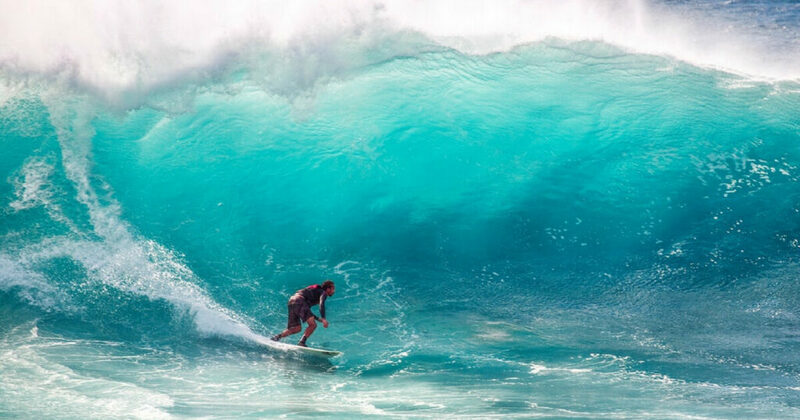 Tip for the week is Hawaiian roll, when caught inside by a big wave, approach the wave head on, and roll your board upside down, pulling your body close to the board, and blowing out of your nose as the whitewater passes over you. When you have cleared the whitewater, roll your board back over and paddle like a mad dog!! Tip one for beginners, to pick up speed on your surfboard move your front and back foot forward 2 inches, and then scoot them back into original position. Repeat this twice. remember to stay light on your feet. Heavy feet sink, light feet glide! !